A central angle of a circle intercepts an arc of length ; it also has a chord. What is the length of that chord? 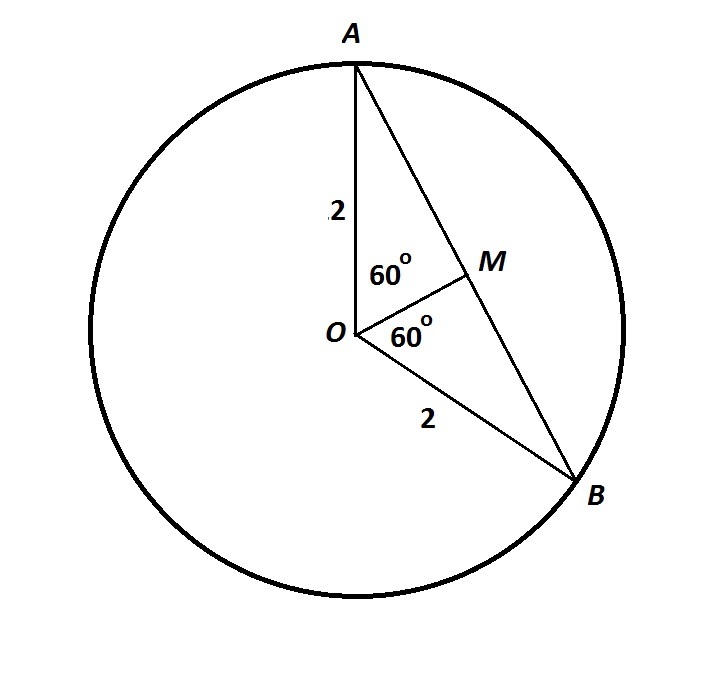 The arc intercepted by a central angle is of the circle, so the circumference of the circle is . 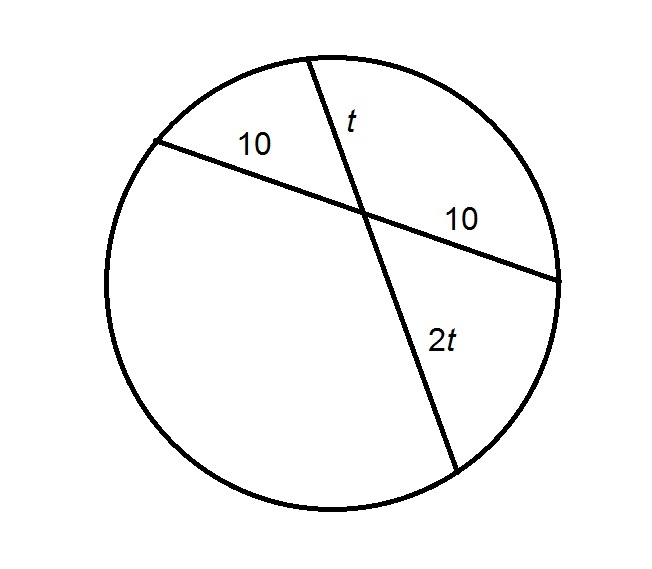 The radius is the circumference divided by , or . 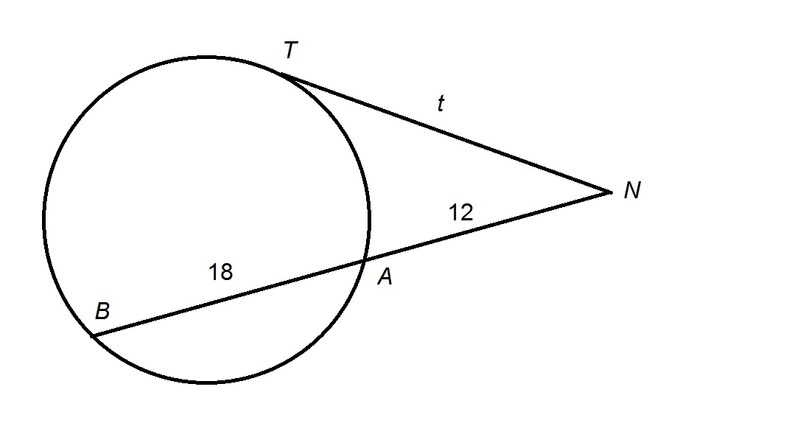 By way of the Isoscelese Triangle Theorem, can be proved equilateral, so . The figure below shows a central angle , along with its chord and triangle bisector . Give the length of the chord of a central angle of a circle with radius 20. The correct answer is not among the other choices. By way of the Isosceles Triangle Theorem, can be proved equilateral, so . This answer is not among the choices given. 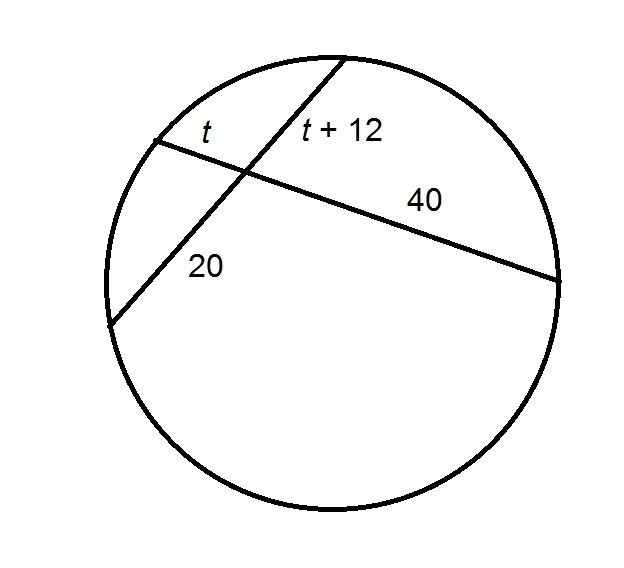 Give the length of the chord of a central angle of a circle with radius . The figure below shows , which matches this description, along with its chord and triangle bisector . In the figure above, evaluate . 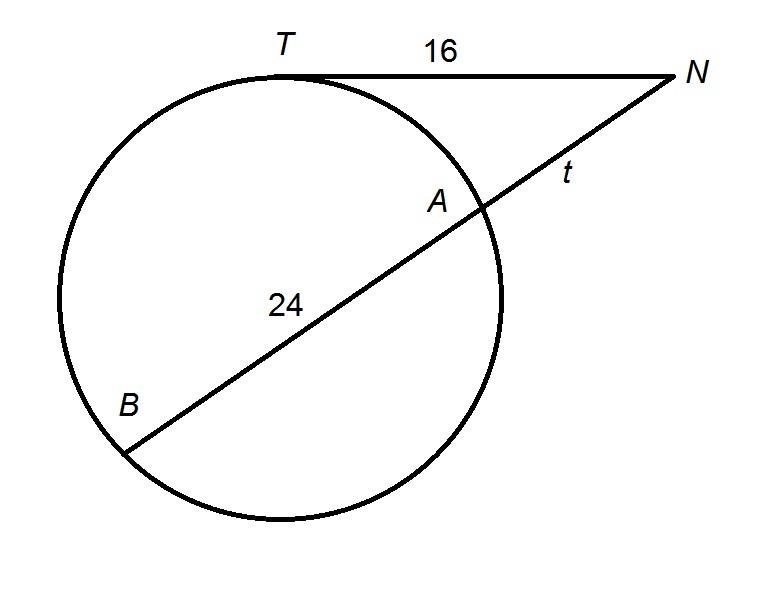 In the above figure, is a tangent to the circle. 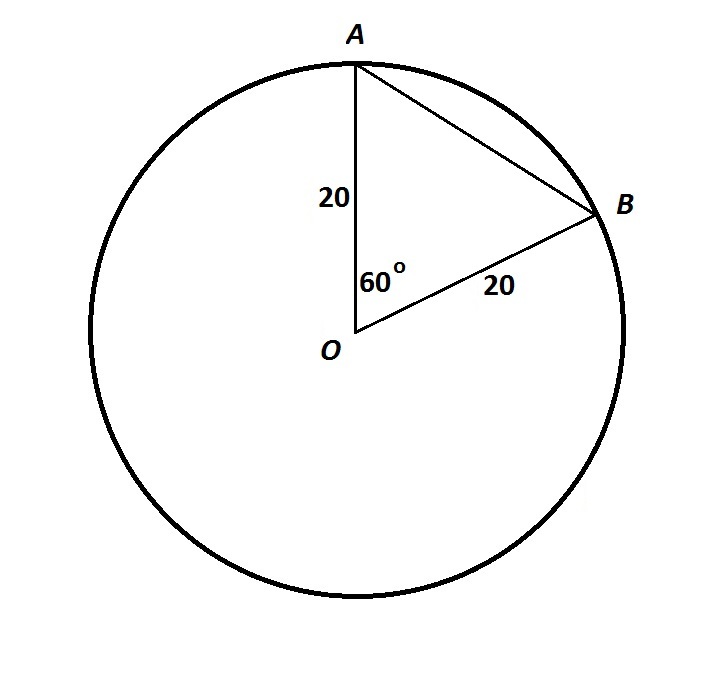 In the above diagram, evaluate . , in which case - the correct choice.